From quinoa and black beans to zucchini and chickpeas, there are lots of ingredients you can use to create hearty plant-based vegetarian burgers fit for a weeknight — or any night. We've gathered up our ten most mouth-watering vegetarian burgers that can be whipped up super quick and will keep your taste buds satisfied. So fire up the grill! Or the oven, or the fry pan — another great thing about the veggie burger: so many ways to cook 'em up. Here are a few prep tips that make preparing and cooking veggie burgers a snap. Slice, dice, and mash: Whether you're using beans or vegetables, be sure to mash beans and dice veggies to make the components as small as possible. This makes it much easier for the final burgers to hold together when cooking. And if you have one, let your food processor do the work for you. Make-ahead and freeze: Meatless burgers of all kinds are easy to prepare ahead of time, and they freeze great. Wrap patties individually in plastic, then store together in a freezer-friendly resealable plastic bag. To defrost, lay them flat in a single layer (as opposed to stacked — this'll cut down your defrost time) in the fridge overnight or for a few hours. You can also go straight from the freezer to cooking; just be sure your burger centers are hot before serving. Mix and match ingredients: When it comes to the beans and the veggies, pretty much anything goes in vegetarian burger recipes. Any bean can be swapped for whatever you have on hand. And if you don't have quite enough red bell pepper? Use a different color, or try grated carrots instead. Just be sure you avoid veggies that contain a lot of water, like cucumber. Get your grill on. If lots of veggie burgers are in your future, consider investing in a fine-mesh grill topper. These can be placed right on the grill; and with smaller openings than the typical grill, they provide a more solid surface for veggie burgers, making it much less likely for them to fall apart while cooking. Bonus: You can use the grill topper when you grill small items that might otherwise fall through the grates, such as vegetables and shrimp. 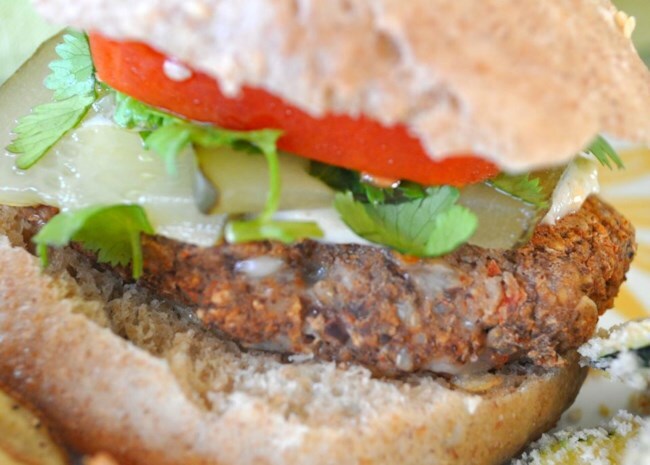 More: Check out our whole collection of Veggie Burger Recipes. 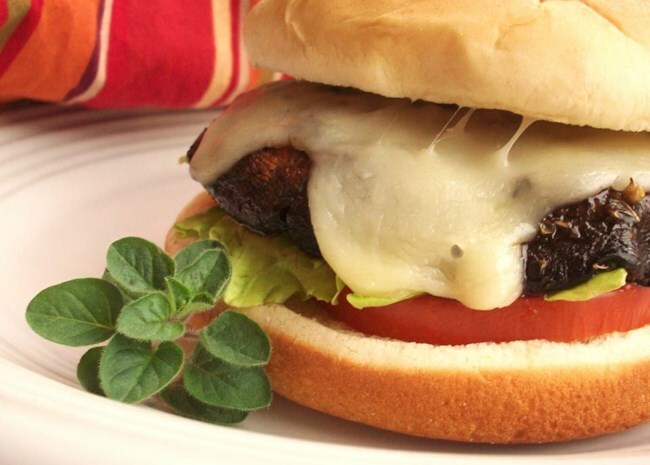 We've gathered some of our favorite vegetarian burger recipes you can enjoy all year long. 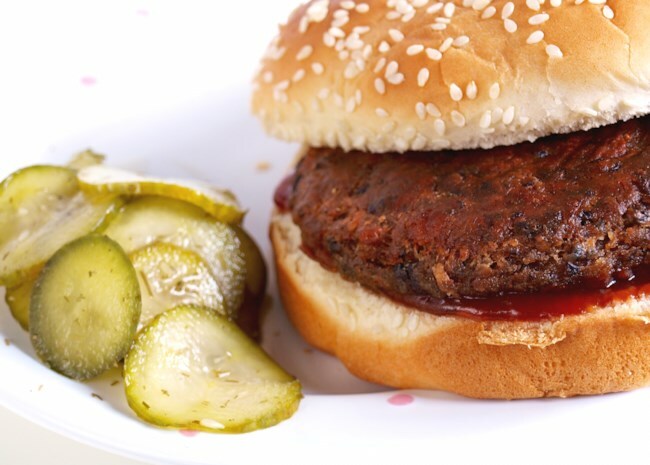 A hit of chili powder and Thai chili sauce give these plant-based burgers a bit of a kick. And Kelly has some extra tips for keeping patties in one piece: "First, rinse the black beans and dry them off before mashing them. Second, strain the onion, garlic, and pepper mixture through a fine-mesh strainer to remove any excess water. Third, if you add 50% more bread crumbs, it will hold much better. Also, I freeze mine and grill them frozen. 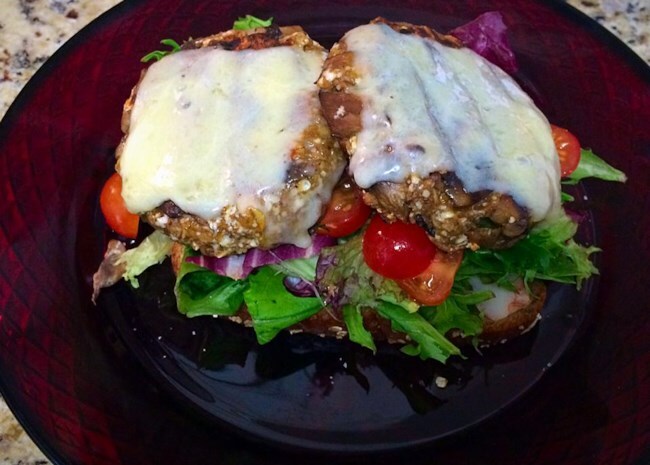 Doing this has kept my burgers intact and my mouth happy!" "This is as close as I've ever gotten to a delicious non-meat burger," says Chef John. "Mushrooms really give this a meaty flavor." "These came out great," adds Susan. She also had a smart ingredient substitution that not only gives these burgers a boost of protein, but makes for a great gluten-free option: "I adjusted the serving serve to four and used one cup of cooked quinoa in place of the dried bread." So smart! Canned kidney beans are mashed up with steamed carrot, crunchy green pepper, onion, salsa, bread crumbs, and whole wheat flour. Some reviewers used black beans instead, and some suggest cooking the pepper and onions for the mixture. 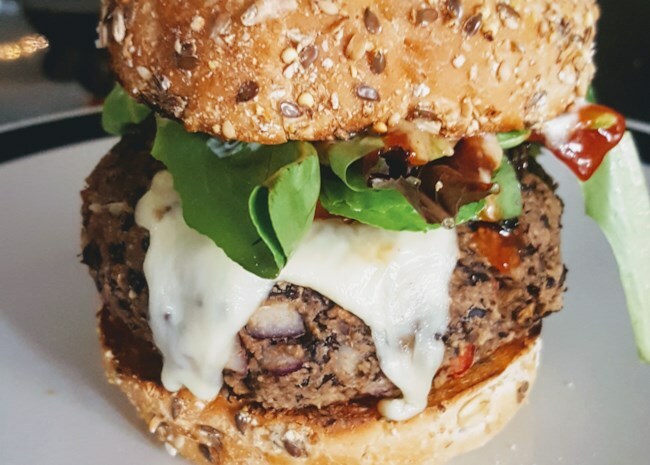 "I've made these a few times usually with black beans and find them overall to be better than most store bought veggie burgers," says Charissa. "My friends and family even enjoyed them, who aren't vegetarian." "These are fantastic," raves homecook, Brianna. If you have kids, she has some recipe tweaks that might help, plus a couple more for keeping patties intact: "I omitted the cheese and jalapeño and swapped 1/4 cup of bread crumbs for the crackers. After I shaped the patties, I dredged them in dried bread crumbs and let them sit in the fridge for several hours. I had no problems keeping them together in the pan. 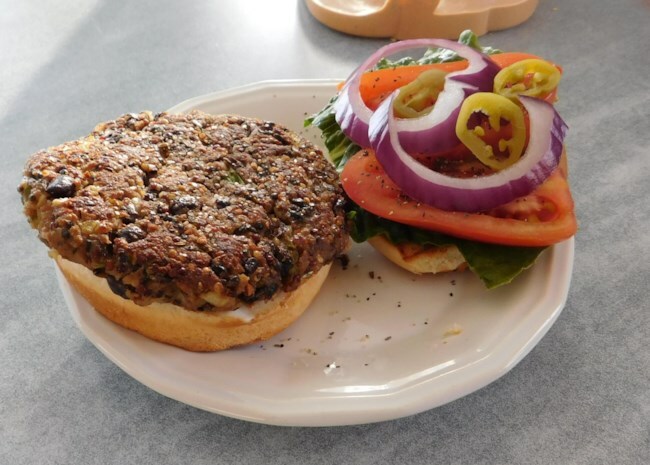 This is best veggie burger I've had so far." This recipe comes in handy when you (or your generous neighbor's) backyard garden is overflowing with zucchini. Homecook Angela has some tips for working with zucchini: "This recipe is great as-is, but they turn out a little better if you drain the excess water off of the zucchini first. I've also used a tablespoon of flour and 1/3 cup of seasoned bread crumbs to replace the 1/2 cup of flour, and they were fabulous." 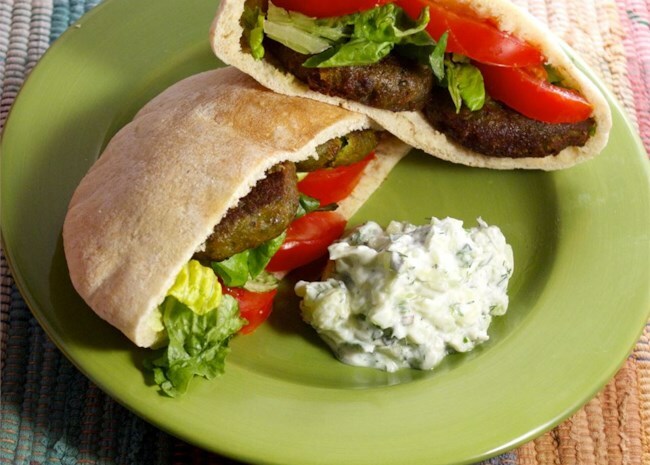 A delicious alternative to the typical burger, these chickpea patties can be served on a bun or in pita pockets like traditional falafel. 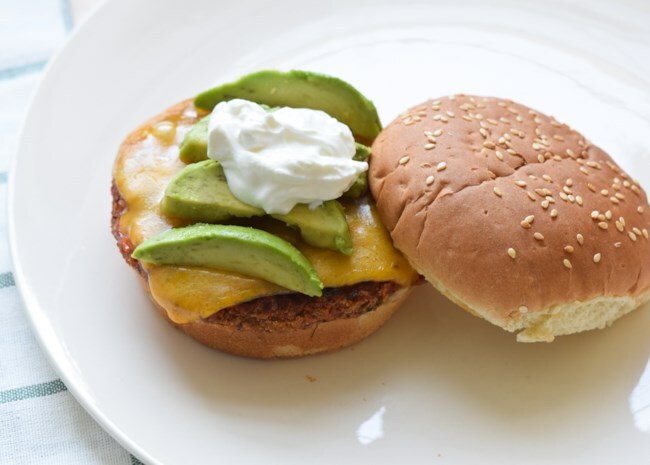 This easy vegetarian burger serves four and is ready in just 25 minutes! "Big hit," says Fantastapotomus. 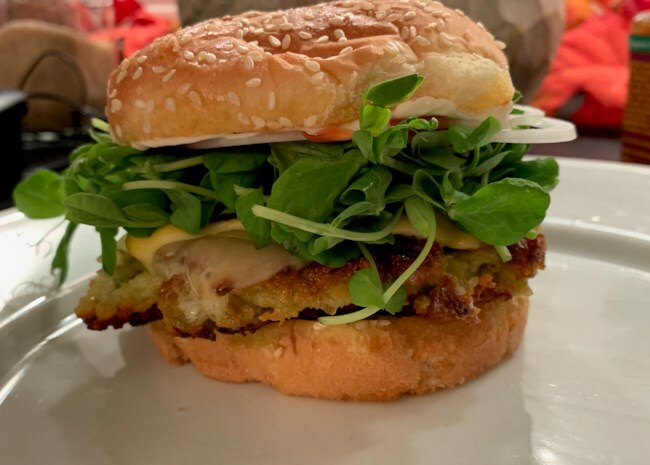 "These veggie burgers turned out better than any store bought variety, and even though I'm not a vegetarian these were very satisfying." Great to know if you're serving both vegetarians and non-vegetarians! Homecook, pinkypink, discovered a winning cooking method for this recipe you might find helpful: "I placed them on a wire rack with a cookie sheet under it and broiled it for about five minutes on each side. They came out fantastic! To add some extra flavor, chop two to three onions and sauté them for at least 20 minutes on low heat with olive oil and butter. Viola: caramelized onions, which taste amazing with these burgers." If you'd like to make these—or any of the other burgers—vegan, MARKER69 has a great option for swapping out the eggs: "I substitute flaxseed and water all the time for eggs. One egg is equal to one tablespoon of ground flaxseed with three tablespoons of water. It works great and gives the burgers a slightly nuttier flavor." This recipe is a great base to add your own flare too. Even the recipe submitter approves of that strategy: "You don't need to follow the recipe or amounts exactly. I never do," she says! This recipe serves four and is ready in 35 minutes — great for a weeknight family dinner. Related: 10 Ways to Make the Best Vegan Burgers.